After a very successful 2018 and still going strong in the new year, Dr. Dolor Entertainment is proud to present a brand new single for one of its major acts - Ryan Omo, dubbed "Nkwobi" and it features label mate and one of Africa's biggest music exports - Teni The Entertainer. On "Nkwobi", produced by Tayoristar and In-house musical genius - Jasynths Beatz, the emerging music star - Ryan Omo combined beautifully with Teni on the mid-tempo tune as he playfully talks about his female interest with sweet wordplay, making it clear he desires his woman and would do anything for her, while Teni Makanaki did her thing by literally killing the melody! 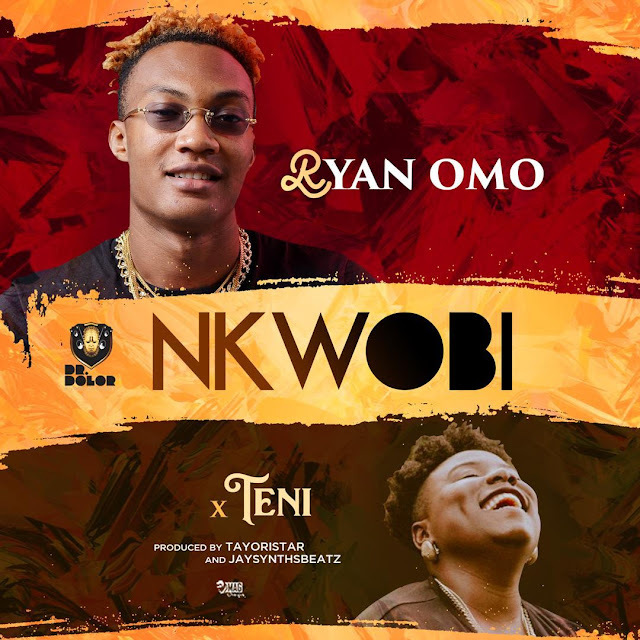 "Nkwobi" is another testament to the amazing talents that Dr. Dolor Entertainment houses in Ryan Omo and Teni The Entertainer and this tune is definitely set to be a major hit for 2019.